Diary Nov 5th 2017 - border free & diversity: Exercise & Language Instructor Fitness journey ENDO's Walk on ! When I introduce myself in my youtube videos, my self-introduction in basically like this " Hi, this is Yoshi, it's been a while ! 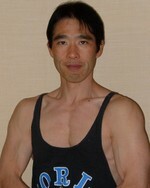 "or " Hello I'm Yoshi Endo, fitness instructor in Japan ". The reason why I refer to Japan is of course, many of my intended video viewers are people and my friends outside Japan except for a small handful of my intimate friends in Japan. However, what I feel these days is ... if you emphasize one's country or home town too often or too much in your talk, that kind of attitude or behavior may look a bit nationalism-ish or racist-ish to eyes of some people. Even if viewers of my videos don't know me at all, probably many of them will be able to surmise that this guy is from Asia, especially somewhere in the far east (from my outlook and English accent). Of course, cultural uniqueness and diversity would be important in this era of globalization, and at the same time, the world is becoming culturally crossover little by little nowadays. For these reasons, recently I'm thinking whether it is appropriate often refers to personal information concerning one's country or hometown. I mean, maybe I'm in a stage to graduate from " I'm Yoshi in Japan "type self-introduction (in a good sense).